The head of the SOS Mediterranée, one of the humanitarian charities operating the Aquarius 2, said today in a statement it would soon have to stop operations at the Panama government (where the ship was now registered) was revoking its license to operate. 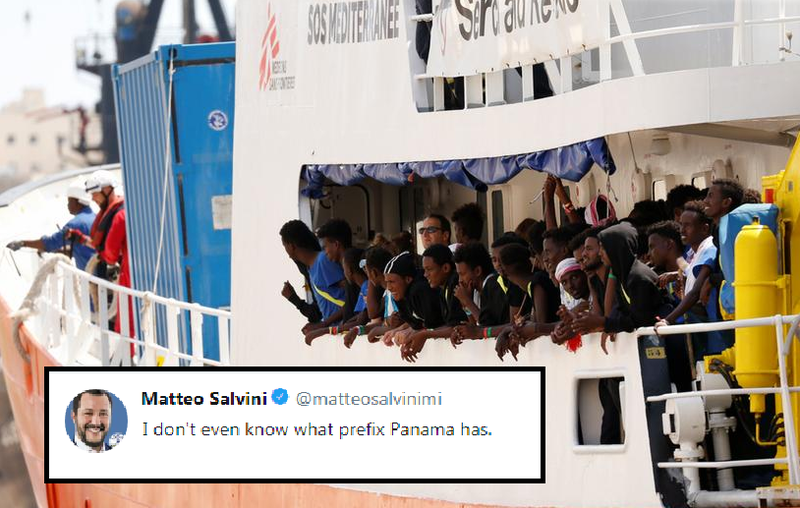 Related coverage: <a href=" http://thegoldwater.com/news/37621-Salvini-To-Migrant-Rescue-Ship-Go-Wherever-You-Want-But-Not-To-Italy"> Salvini To Migrant Rescue Ship “Go Wherever You Want, But Not To Italy”</a>. The NGO’s responsible for rescuing the migrants have accused Panama of bowing to pressure from the Italian government. The SOS Mediteranée statement read: "On Saturday the Aquarius team was shocked to learn of an official communication from the Panamanian authorities stating that the Italian authorities had urged the PMA to take 'immediate action' against the Aquarius." SOS Mediterranee together with Doctors Without Borders (Médecins Sans Frontières) is now appealing to the French government to either urge the Panamanian authorities to reinstate the vessel's registration or to immediately issue a new flag. Mr. Salvini, the Italian Interior Minister, denies any wrongdoing. In a tweet that was shared among his followers, he stated: “Italy did not put pressure on Panama. I don't even know Panama's area code." Furthermore, after blocking the passageway for illegal African migration, Mr. Salvini has now started to clean up Italian streets as well. As he promised, the next item on his to-do list was to send back the ‘Roma gypsies’ coming from Eastern Europe to Italy and building sheds near the suburbs. Yesterday he ordered the bulldozing of several illegal Roma settlements to be demolished as you can see. Current polling has Mr. Salvini still as the most popular politician in Italy. Should elections be held today, his coalition government would gain more than 60% of the votes. If every country's leader had the balls Mr Slavini has, we wouldn't be worrying about stabbings, beheadings, bombings. Nor would there be such financial pressure. Every country should be looking after their own before anyone else. There are plenty of patriots throughout European countries dying from hunger, exposure due to homelessness. And the governments don't care as long as they look like they're not "racist" smh. So Mr Slavini, hats off to you for keeping your people safe and putting them first.